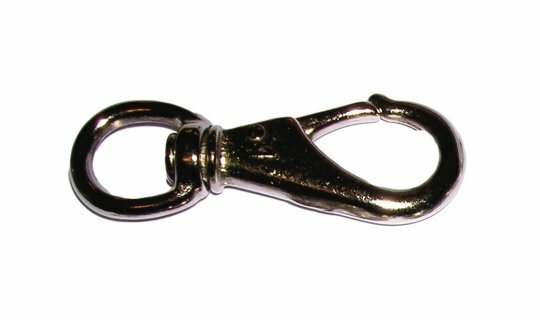 Boat snap with swivel eye in nickel plated brass. The snap is untested with an overall length of 115mm and the eye has an inside diameter of 20mm. 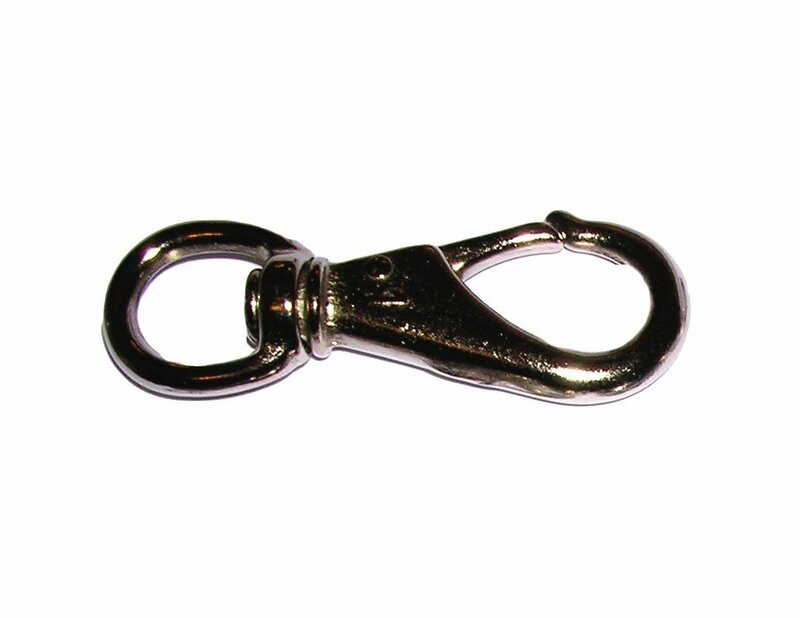 Boat snap with swivel eye in nickel plated brass. The snap is untested with an overall length of 82mm and the eye has an inside diameter of 17mm. Boat snap with swivel eye in nickel plated brass. The snap is untested with an overall length of 94mm and the eye has an inside diameter of 20mm.